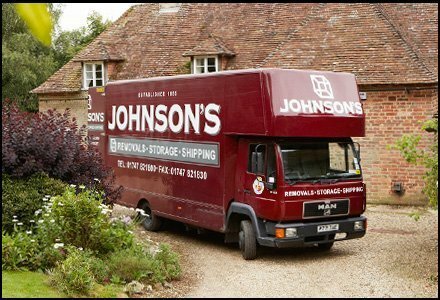 For removals in Wincanton that go swiftly and smoothly, choose Johnson’s. We wereÂ established in 1855 and our century-and-a-half of experience makes all the difference. No other removals company in Wincanton can bring you the kind of stress-free, untroubled moving experience in which we specialise. We’re also excellent if you need a simple man-and-van service, storage, self-storage or international and local shipping. We’ve got it all – everything you could possibly need when you’re relocating. There are all sorts of reasons for which you might need removal companies in Wincanton. Come to us and you’ll get the best. We’ve got years and years of hard-won experience behind us, and we bring it to every job we undertake, however large or small. We’re equally adept at office moves, so if your company is hot-footing it to a new area, you couldn’t do better than to do it with us. Storage in Wincanton can be scarce, but thanks to our first-rate facility in Gillingham, it becomes a cinch. We have large units (8 feet high, 5×7 feet in depth and width) so any excess belongings you might find yourself with during the course of your move can be placed here either long-term or short-term. For items of a more delicate nature – everything from pianos to paintings to other valuables – we have a special, temperature-controlled space to keep it all safe as houses. Your journey with us begins with our no-obligation quotation. Get in touch today and we’ll provide it in no time. If you decide to go with us, our estimators will pay you a visit, pinning down every detail of your move and making it all clear and easy to follow. We’ll turn up with bright, dependable movers, packers and drivers on the day of your move and you’ll have the peace of mind that comes from knowing you’re in capable hands. We’ll take care of all your goods and possessions, treating them as if they were ours. You can opt in and out of additional levels of service – for example, if you would like, we can do all the unpacking, placing everything just where you want it. IT relocation, too, is something we can happily undertake. We’ll do whatever’s necessary to make this the best moving experience you’ve ever had.